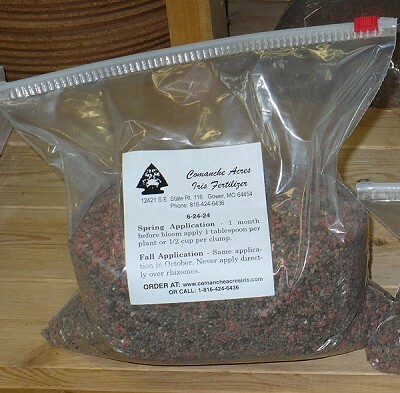 Iris Fertilizer-2 Pound Bag-We have sold this special blend of iris fertilizer for years. The fertilizer blend is 6-24-24, which is a superb blend for irises and other perennials. It is also a perfect fertilizer for peonies, daylilys, and hostas. We recommend applications in the spring and fall. This 2 pound bag will treat around 150 plants. The price includes shipping to all 50 states.